He is pretty active but happy to chill. Loves his food so will be easy to train. He knows sit but will need ongoing training, so will benefit from going to classes. He would be a great family dog either with another dog or someone that is around a bit.. He is inside and outside but he sleeps inside at night. he is crate trained, rarely barks, but will bark if someone comes. This little girl is just gorgeous and you typical puppy..
She is just delightful to have in foster . She can sit for treats, not quite house trained or crate trained, she can walk on the lead but needs further training. Boof- 💕 9 yrs old. 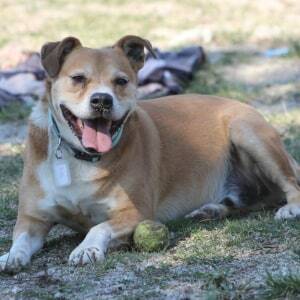 The gentle giant of the pair, boof seems to be a mixed breed of bullmastiff, Ridgeback and staffy. Despite his large appearance Boof definitely still thinks he is a lap dog. His beautiful kind eyes speak truly of his character. Boof is an inside and outside dog, while inside he will lay in his bed when told, but definitely isn’t against a snuggle on the couch. While outside boof is happy to sunbathe but will bark when people get to close to his yard. Boof will always sit before he eats dinner and is slowly learning how to “stay and wait” for dinner. He will not pull on the leash during walks and is also learning to sit before crossing the road, while off leash he will respond but not before marking his territory. The little pocket rocket of the pair. Ollie the Maltese Shih tzu is so full of love and energy. Being a lap dog, he is always up for a cuddle and a play. Just like Boof he is an inside and outside dog and mimicks almost all of Boof’s behaviours, although being slightly more against people coming close to his yard. Ollie is slowly learning to sit before dinner and will not pull on his lead while on walks. While Boof is against bath time, Ollie will sit very patiently and quietly to be washed. They need to be rehomed together. Biggie was left at the pound sadly for him.. He came into rescue and has been a great foster dog. 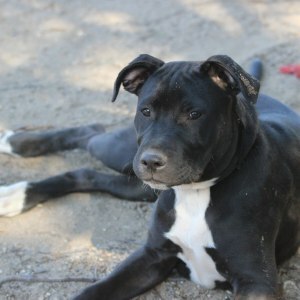 He has been great with the other fosters in care including puppies and bigger male dogs. He is super playful and friendly. He loves his walks and is good on the lead. He is good in the crate and is crate trained. He rarely barks, doesn't dig, doesn't jump fences. Has basic commands and will sit. Biggie loves the car and going on outings, loves cuddles and couch time. He would pretty much suit most homes but not full time workers. Being a staffy, they don't like to be left at home by themselves for long. He is good with other dogs but happy just to chill and chew on his tennis ball. He will chase the ball but doesn't always give it back.. He is pretty good on the lead but his recall needs some work (selective Hearing). He is crate trained , rarely barks, loves a pat, good with other dogs, likes the car and good with people. He would suit pretty much most homes but preferably not full time workers. Meet Juno! This guy is just delightful. He is a character and a half. Unfortunately Juno had to be surrendered, and this was quite upsetting to his owner. But we promised we would find him the best forever home. 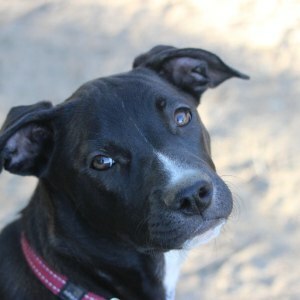 Juno has been in care a while now and gets along extremely well with other dogs, and would love a home with another dog. But is happy to hang out with male and female canines. But he would prefer another dog of similar size. He is house trained. And needs to sleep inside and be inside as part of the family. He loves his people and is a real sweetheart. But is used to spending his days outside. He is food motivated so will be easy to continue to train. But he has learned sit, drop, wait and shake. Although he does need continued training when out walking on a lead. He’s a fairly quiet guy, but will bark if someone comes to the property. Looks can be deceiving, because he doesn’t have an aggressive bone in his body, and would just like them to pat him. Juno does need good secure fencing. Farm fencing won’t work for Juno. He hasn’t lived with children, however he had been fantastic with the kids he has meet since being in care. He is untested with cats. Attached is a video of him playing with his best friend in foster care, Blaze. Who is also available for adoption. Please note. 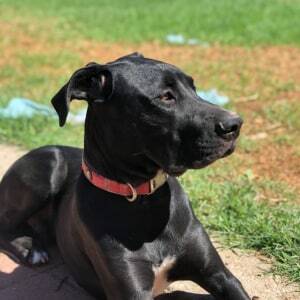 This dog is only listed as available for interstate due to living on the NSW / Vic border. 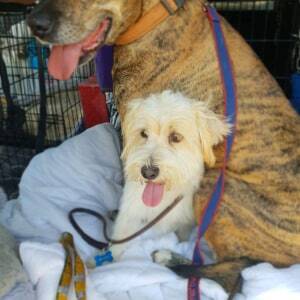 They will not be placed on transport to be rehomed. Sophie was born in care in November last year. Rescue ended up with mum and dad and both were just beautiful. sophie is one of three pups left and she just happens to be the sweetest pup. She is gentle and quiet. She loves other dogs and has been well socialized with all sorts. She hasn't had a lot to do with cats but the ones she has come in contact with have made little impression on her. She likes water , her recall isn't too bad and on the lead she still has a few minor issues only because she is on acres and has had little lead time.. She will travel in the car quite well although needs some encouragement to get in. Sophie is almost crate trained and not 100% house trained but she is getting there. 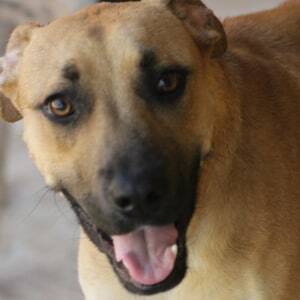 This girl would fit any family as she has the sweetest gentle nature. She just loves cuddles and where ever she goes she is so gentle and wanting to meet new people and dogs. 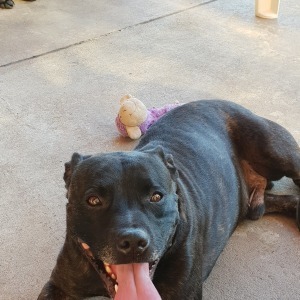 Having staffy in her it is not recommended that she go to a home where there is no one home during the day for long hours as they love the company of people or other dogs.